Ammonium persulphate (NH4)2S2O8 is a strong oxidizing agent. It is very soluble in cold water, a large fall of temperature accompanying solution. It is a radical initiator. It is used to etch copper on printed circuit boards as an alternative to ferric chloride solution. It is also used along with tetramethylethylenediamine to catalyze the polymerization of acrylamide in making a polyacrylamide gel. It is used to clean laboratory glassware as a metal-free alternative to chromic acid baths. It is also a standard ingredient in western blot gels and hair bleach. It is also used in Oil well fracking or fracturing. Ammonium Persulfate or Ammonium Persulphate crystals are used as an alternative to the traditional ferric chloride to produce a cleaner copper etchant solution. Ammonium Persulphate is designated as Electrophoresis grade and suitable as a catalyst in acrylamide polymerization. 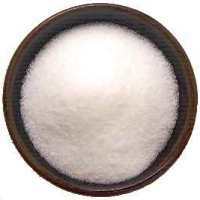 Ammonium persulfate is a widely used reagent in biochemistry and molecular biology for the preparation of polyacrylamide gels. APS forms oxygen free radicals in aqueous solution by a base-catalyzed mechanism. The bases, are most commonly used as catalysts, are tertiary amines such as N,N,N',N'-tetramethylethylenediamine (TEMED) or 3-dimethylaminopropionitrile (DMAPN). The free radicals will cause the polymerization of acrylamide and bis-acrylamide to form a gel matrix, which can be used for separating macromolecules by size Protocols for the use of APS to prepare polyacrylamide gels for electrophoresis are widely available. APS has also been utilized to study protein-protein interactions via photo initiated cross linking chemistry. Other applications of APS include its use as a reducer and retarder in photography, the manufacture of aniline dyes, electroplating, the decolorizing and deodorizing of oils. A protocol on the APS-mediated modification of polypropylene membranes with polyaniline has been published. APS has been used to prepare biodegradable macro porous hydro gels for application as crosslink able biomaterials.